Ouch. We’re banged up and not playing well. With a trip to TCU approaching, and perhaps a must-win game in terms of West Virginia’s fading bowl aspirations, the Mountaineers are hoping to have four injured starters cleared. West Virginia senior center Pat Eger (76) is helped of the field by medical staff after being injured at Kansas State during the first half. The injury watch is particularly critical on defense, where cornerback Daryl Worley (shin), middle linebacker Doug Rigg (concussion) and defensive end Dontrill Hyman (ankle) missed last Saturday’s 35-12 loss at Kansas State. All were listed as day-to-day by head coach Dana Holgorsen on Tuesday, as was senior center Pat Eger (ankle). “What are you going to do about it? 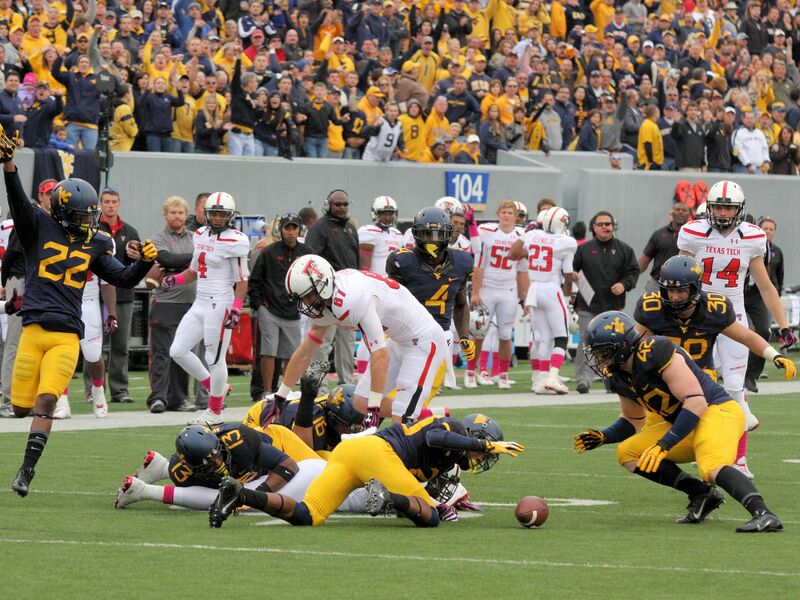 Not going to use that as an excuse—never have, never will,” Holgorsen said. “The next-guy-up mentality applies. Regardless of who the bodies are, they need to know what to do, and we need to coach them up to the best of our ability.